From the quote process to the move, GM did a fantastic job. Their pricing was right and they stuck to the written estimate. The movers arrived on time and were extremely professional. Jordan, Alan and T were some of the most polite people it has been my pleasure to have in our home. They had a very long day moving us from one coast of Florida to the other. They started at our house on the east coast at 8:00 am and worked straight through to completing our load in on the west coast at 9:30 pm. Never once did I hear a complaint (three story move out, two story move in) or even a deep sigh. These guys were fantastic. I would highly recommend GM Van Lines to anyone I know who is in need of their services. I'm hoping to convince them to come over here when we are ready for our next move! GM Van Lines movers showed once again that they are the best movers in Florida. I moved with them twice and both times they provided and exquisite service. Everything went according to plan from the moment I contacted them. I was informed about the terms of the move and pricing, which, by the way, was more than affordable. I received several quotes before and although I didn't want to base my final decision solely on the price, I just couldn't help myself. Their appealing estimate was the main reason why I hired them the first time. During my second move I had no doubt about who to hire. I was so excited I came across GM van lines. I got a reasonably priced moving service. I was researching moving companies for a while and only GM van lines seemed like a wise choice at the time. I needed someone with good reviews, but the first impression they left actually convinced me to go with them. Everything went so smoothly on moving day. There weren’t major difficulties or unpleasant surprises. They had everything under control all along. I’ll be referring all my friends to them. Everyone’s entitled to a good moving experience and these guys are certainly capable of delivering it. 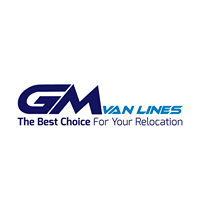 With GM van lines everything went smoothly from the quote issuing to the delivery and unloading of my items. They were perfect in any way! All my earthy possessions were moved with no significant damage. The movers showed an excellent level of professionalism and wanted to meet all my requests and answer my questions. Highly recommended with all my heart! I will use them for sure if I have to move again. 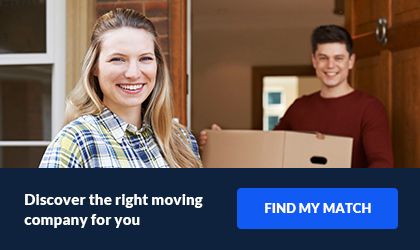 Whether you are planning a local or an interstate move, then look no further! No matter how complicated your move is, GM van lines will turn it into an enjoyable experience. GM van lines movers are the best! Honestly, I had no idea how to organize my move since I was moving for the first time... Not to mention how skeptic I was about letting complete strangers into my home. Their representative was very polite and informed me about each step of the move. I got a picture of how much the move would cost me and what’s more, another representative paid me a visit to assess my belongings and issue a more accurate quote. Their commitment to customer satisfaction was very impressive! Thank you, GM van lines for such a great service!! I feel going with GM Van Lines was a good choice overall. Their website offers substantial information but is not very user friendly. The movers were scheduled to come at noontime but I got a call at 10:00 am saying that their other job cancelled so they were able to come early. The movers did not have the correct order because apparently their office staff had messed up on the paperwork. I had selected $135/hr for 3 movers and all the packing supplies. However, the movers came with the order of $119/hr and no supplies. Clearly the office staff needs to do a better job of getting the order correct. When reserving my move, the office had told me that all the packing supplies are included but despite objection they charged for wardrobe boxes. Typically they cost $11-12 at Home Depot. They wanted to charge me $22 per box! When I asked for clarification, the office staff said it's listed on their website under additional charges as well as all of the charges per box. The office originally estimated my move would like 3-4 hours. But, they actually took closer to 6 hours. I understand I lived on the 5th floor, but I feel they should have been able to provide better information upfront if they do this every day. 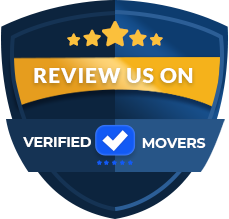 While the overall experience with the move was pleasant, I think the customer deserves to know their prices upfront and it should not be so difficult to navigate their website. I would hire them again now that I know where to look for everything. The company i set this up with was extremely patient, caring and understood I was nervous about moving being that everything is either an antique, expensive or very heavy. They even recommended I get a in-home estimate, from another company by the way, in order to confirm their confidence and accuracy in his estimate company. My impression of visualize negative I was quickly corrected once I receive the in-home estimate realize that this company was spot on. It was very impressive and I honestly felt more comfortable using this company being that we already built rapport. However, after many days they delivered and unloaded my items at very late. Some stuff was broken and missing. They did help me with claims and have good customer service. This is much appreciated. I have to admit that GM van lines did an amazing job in spite of my skepticism. Looking at a group of strangers loading my items and taking them away was not easy for me. Although they seemed honest and highly professional I just couldn’t relax. My entire household was in someone else’s hands and I was restless while I was waiting for my delivery. The movers kept in touch all along so I could follow their progress at all times. Seeing them at my new house was such a relief. Now I know that I was panicking for no reason and doing business with GM van lines movers was the best decision I've ever made. After doing business with GM Van Lines last summer I realized one thing – no matter how tempting a low moving quote may seem, do not agree to it at all costs. Due to a particular family situation, we were looking to cut moving costs whenever possible. We had to give up on quality packing supplies, we have also borrowed cardboard boxes and got many of them for free. But, we found out the hard way that no matter the moving estimate you are given, you can always end up paying more than expected. Since we were moving to a building without an elevator in Orlando, we were charged extra, long-carry and flight fees. Obviously, the final price had nothing to do with the one we got in the first place since those additional costs weren’t specified at all. With this in mind, all I can say is beware of hidden moving costs as they may pile up eventually! From estimate to move in working with GM Van Lines was great. They came out within a day to provide the estimate. They were competitive as far as pricing, and they provided the moving boxes which was a great bonus. We had a few hiccups with the move in date and they were accommodating and made the changes without complaint or issue. They dropped off the moving boxes the day after I signed a contract, and were always available for any questions I had. The day of the move they arrived on time with a crew that was friendly and professional. They had us out of our old office in no time at all, and moved into our new location just as quickly. Everything arrived safe and without damage. I cannot sing their praises enough. There are some really shady characters in the moving business, some companies will quote a super low price and then hold your stuff hostage until you pay all their extra fees. There was none of that working with GM Van Lines. All the fees and charges were laid out in the initial estimate. There were no unpleasant surprises. They were efficient, friendly, professional, and honest. It is my hope that I never have to move our office again, but if we do I will be using these guys again. I cannot say enough positive things about our experience with them. GM Van Lines has been serving Florida for over 10 years. The owners have over 41 years of experience in the moving industry. The company has relocated high profile clients and offices. Some of these include the FBI, IRS and Social Security. With experience like this, they are ready for anything. All employees of the company go though rigorous training. This ensures that each move has a professional that makes is as seamless as possible. The training consists of loading, unloading, driving, packing and lifting techniques. They meet the mark for every step of the move! Don't have time to speak with someone today? GM Van Lines offers online free estimates. All you have to do is enter your information online. They recommend that you do an accurate inventory to get an accurate price. So, don't forget about that hidden hallway closet of the room on the side of the attic! It's an easy way to get a great estimate. The also do onsite estimates. This is the most accurate way to get a quote. Since they do this regularly, they know exactly what to look for. They will price in additional packing, stairs and other things you might forget. 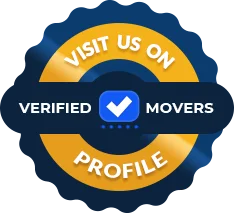 If you are looking for a local mover, you are in luck. A local move is anything within 30 miles. So if you have any kind of home and need to relocate locally, they are ready! The company also offers long distance, international and commercial moving. Regardless of the size of the office, home, apartment or condo, any move is a breeze for them! They also provide packing and unpacking services. If time is of the essence for you, this might be something to look into. It definitely cuts down on the stress for your move as well. If you are not ready to receive your items, maybe take advantage of their storage options. The have units that have A/C, so your items are safe!